how it ends, just LIE. This has got to be the weirdest book I've ever read. I can honestly say I did not enjoy this book. The writing style is completely different from any other book I've ever read or what I'm normally use to. It was written in verse and fragments. It wasn't at all enjoyable. In fact, this review will probably be the only one that will be the least enthusiastic about it, because this book got amazing reviews. So in my opinion this review shouldn't be valid to those that can read all types of writing. Okay, so there seems to be a trend with books lately that main characters get amnesia. I'm not usually one to complain about things like that. Because usually authors somehow always finds a way to make it work for them. But maybe because I didn't like the story, the reason for her amnesia wasn't believable enough for me. Even though, I'm sure that any sudden tragedy can cause amnesia. However much I didn't like the writing style or the story, it did continue to pique my interest. 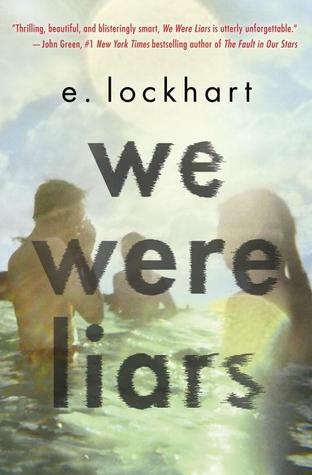 The relationship between the "Liars" was interesting. And the developing romance that was completely forbidden was my main focus in this story. There's also the parents of these "Liars". The adults in this story might as well been kids themselves by the way they were behaving. They were selfish and very self absorbed. Complete turn off. But during the course of the book the main character is going through her own issues, one being her love interest. She has issues with her family being selfish and a complete mess as I mentioned before. She also has daddy issues. And something is going on with the "Liars" that she can't put her finger on. So the author did throw in lots of little dilemma to add to the big picture. But the ending was what kind of threw me off. I didn't see it coming at all. So that alone made the book worth reading. So do I need to say any more? I didn't enjoy this book much. I think this book has more potential in the hands of others who enjoying fragmented writing. I give this book a 3 stars. Weirdest book you've ever read? Hm.. now that has got me interested.